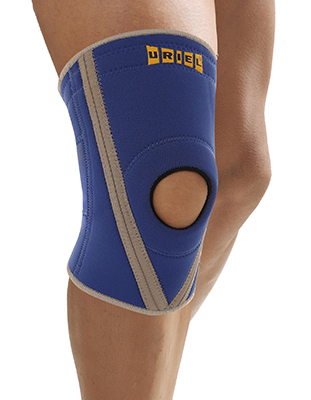 This brace is ideal for providing support and relieving pressure around the patella. 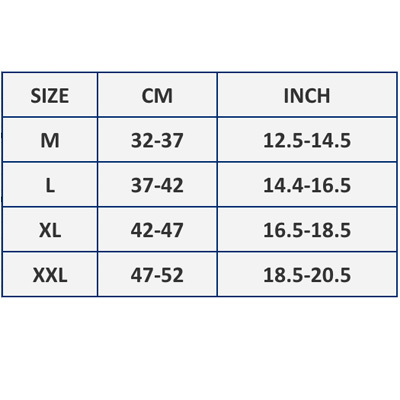 With its elastic knit made from breathable material, padded silicon cushion and lateral and medial supporting rods, both support and reduction of swelling are achieved. Indications: Recommended for the management of anterior knee pain, swelling and patella instability as well as Jumpers knee. 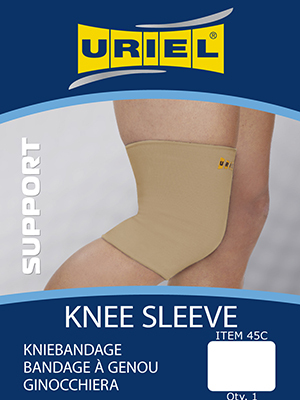 The Knee Sleeve is ideal for minor knee complaints providing comfortable compression and warmth. Anatomically contoured fit provides constant compression with minimum pressure to the back of the knee (cross-cut posterior feature). Recommended for the management of knee/patellar pain and discomfort. Provides relief to tired and aching knees. 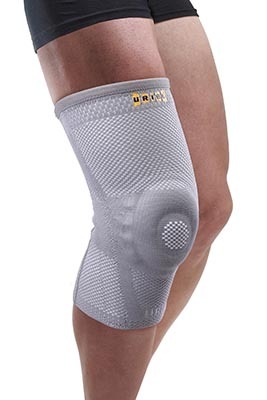 Relieves knee pain and swelling during sports or everyday activities. Indicated for the treatment of Osteoarthritis, Chrondromalacia Patella, anterior knee pain, knee instability, Osgood-Schlatter, and Jumper's Knee. Bi-lateral hinges provide full knee stabilization, stability and compression. 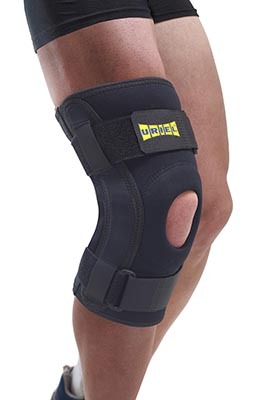 2 Velcro strap above/below the knee joint for additional support and grip. Breathable mesh fabric on back side allows easier knee bending and extra comfort. 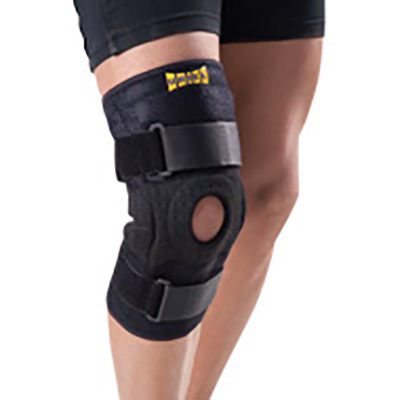 The Hinged Knee Brace is designed for the support of ligament and meniscus traumatic injury cases such as ACL, PCL, MCL, LCL, meniscus swelling, edema prevention / reduction and for post-surgical application. 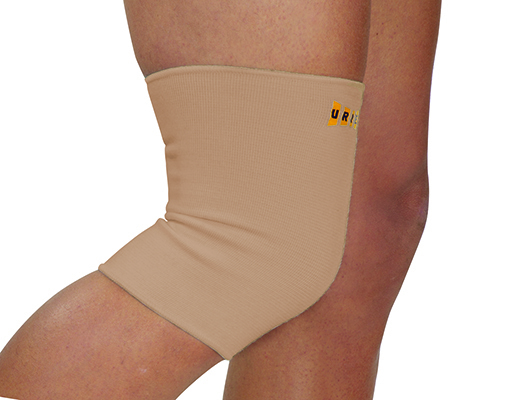 This Knee Sleeve is ideal for minor knee complaints providing comfortable compression and warmth. Anatomically contoured fit provides constant compression with minimum pressure to the back of the knee (cross-cut posterior feature). With patella opening. Fits right or left knee. Recommended for the management of knee/patellar pain and discomfort. Provides relief to tired and aching knees. 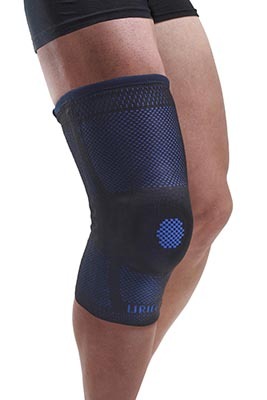 Relieves knee pain and swelling during sports or everyday activities. Indicated for the treatment of Osteoarthritis, Chondromalacia Patella, Anterior knee pain, Knee instability, Osgood-Schlatter, and Jumper's Knee. 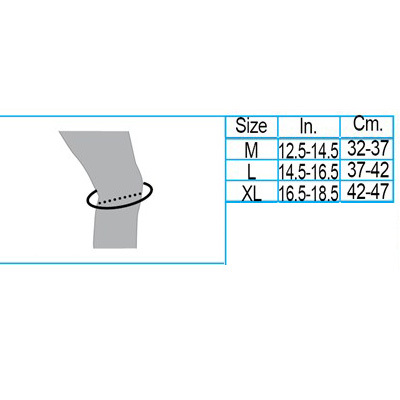 The Hinged Knee Brace is designed for the support of ligament and Meniscus traumatic injury cases such as ACL, PCL, MCL, LCL , Meniscus swelling. Also recommended for Edema prevention/reduction and for post-surgical application. Bi-lateral hinges provide full knee stabilization, stability and compression. 2 Velcro straps above/below the knee joint for additional support and better grip and optimal fitting.